The Addison Trail defense has been incredibly stingy this season, giving up a total of 13 points through five games. Yes, that’s right, the Blazers have given up 13 points through five games, for an average of 2.6 points per game. The defense is led by two stud inside linebackers, Kevin Kent and Mike Imperiale. The Blazers collected six sacks in their 35-0 win over Morton last week, including two each from Kent and lineman Dylan Domek. AT surrendered 110 total yards to Morton, with 10 yards coming on the ground. AT gave up 89 total yards against Hinsdale South in week four, and 69 total yards against Leyden in week three. On offense, the Blazers rely on two play-makers, RB Anthony Messina (138 yards, 2 TDs last week) and WR Anthony Catanese (156 yards, 2 TDs receiving, 35 yards, 1 TD rushing last week). At 5-0, AT is off to their best start in school history. With a Kent, Imperiale and the rest of their stonewall defense, the Blazers could be on their way to a special season. Proviso East is coming off their first week of the season, and it was a decisive victory. The Pirates defeated Willowbrook 48-6 in Villa Park last week. QB Malcolm Hilliard is talented and he has some good pieces around him in RB Ryan Jones and WRs Langdon Johnson and Taeveon Johnson. Obviously, Hilliard and the Pirates offense is about to go up against an incredibly tough defense. A repeat of their offensive performance from last week is highly unlikely. Going against the steel curtain that is the Addison Trail defense, Proviso can not afford to dig themselves a hole on defense. The Pirates defense must come to play if Proviso has any chance of hanging with the Blazers on Saturday. 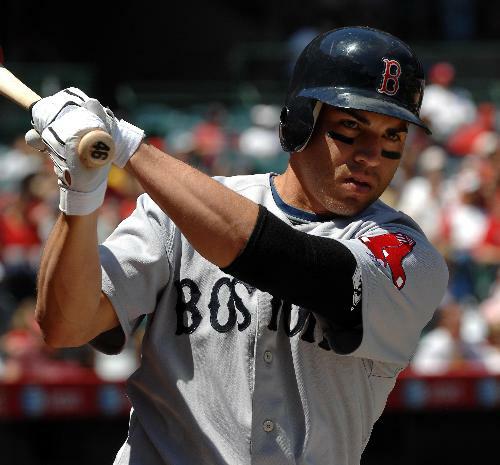 Ellsbury had a tremendous season all around. 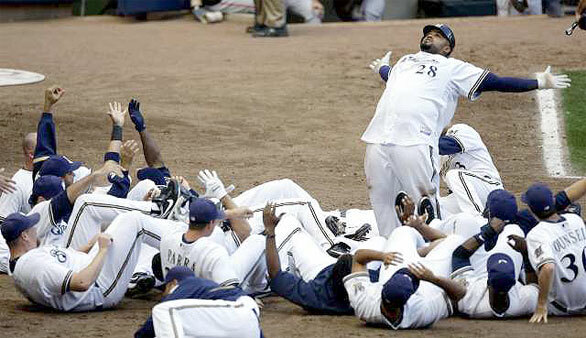 He got on base at a .376 clip, hit over 30 homers, stole almost 40 bases and played great defense in center. I gave Ellsbury the slight nod over Jose Bautista (MLB’s best hitter in 2011) because of Ellsbury’s superior defense at a premium position. Ellsbury’s speed, he stole 39 bases, also helped put him over the top. 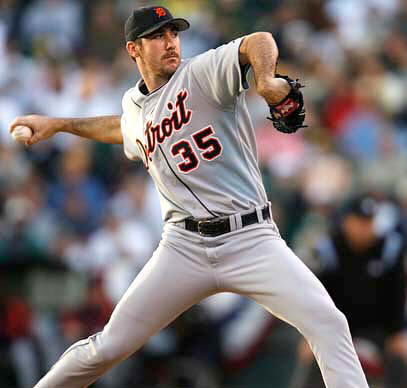 Verlander has been flat out dominant this season, and gets my vote for Cy Young. However, the resumes of Verlander and Sabathia are closer than it is made out to be, as Verlander is seen as the far and away favorite. Hellickson is clearly the AL’s rookie of the year for his solid performance this entire season. 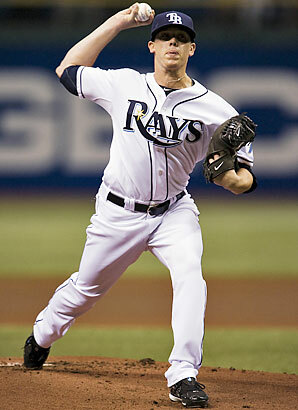 However, is he even the most talented rookie pitcher on the Rays? Phenom Matt Moore, who only made one start for the Rays this season, will be the Game 1 starter for Tampa tomorrow. This is a really close call. 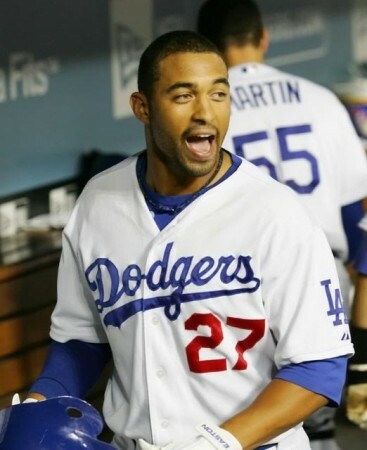 Kemp and Braun both had great seasons, and no matter who wins the winner will be deserving. However, I went with Kemp because his offensive are slightly better than Braun’s, and he plays a more premium position than Braun, and plays it a bit better. Again, another close call. I’m going with Kershaw because his numbers are just a bit better than Halladay, who had another tremendous season. Lee also had a Cy-worthy season for the Phils. 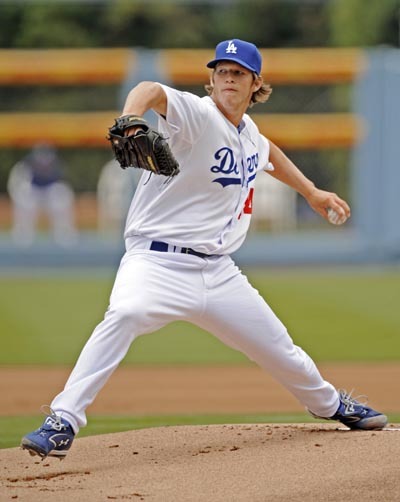 Man, is that rotation going to be a beast in the playoffs. 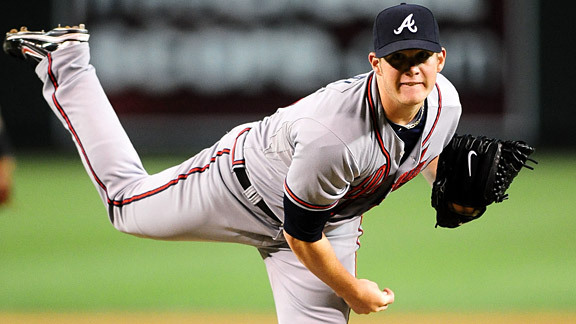 Kimbrel stumbled down the stretch, perhaps due to overuse by manager Fredi Gonzalez. It’s no wonder Gonzalez wanted Kimbrel on the mound as much as possible because Kimbrel was flat out un-hittable before September. St. Francis and Montini meet this week in a re-match of last year’s first round playoff game that saw Montini hold on for victory on a late goal-line stand. Both squads are fresh off blowout victories last week, and in the case of the Spartans, the last two weeks. Montini, the two-time defending 5A State Champions, came out of the gate slow, starting just 2-2. The offense, which has been without starting QB John Rhode so far, had trouble getting off the ground until last week when they put up 55 points on Aurora Christian. With Rhode expected back this week, the Broncos hope to build off last week’s offensive explosion. It will be interesting to see how much the Broncos use their “JoeCat” offense with Rhode back behind center. 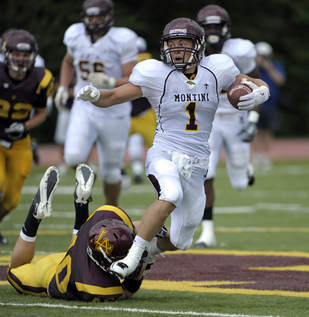 Montini has had a lot of success the last couple weeks when they have put WR Joe Borsellino at QB. Borsellino had 152 yards of total offense and scored four touchdowns (he scored them three different ways: he ran for two, threw for one and caught another) last week against Aurora Christian. The “JoeCat” offense also sparked the late 4th quarter touchdown drive that gave the Broncos the lead over Marmion in week three. With his starting QB back in the lineup, Nebraska-bound WR Jordan Westerkamp should be even more dangerous this week. Westerkamp recently set the state record for most touchdown receptions in a career. St. Francis has used a bruising, clock-eating offense on their way to a 4-1 start this season. RB Jack Petrando leads the way for a group of runners that tallied 408 rushing yards last week against Guerin. Petrando makes an impact on offense and defense. In the Spartans’ 56-12 victory over Wheaton Academy in week four, Petrando rushed for 124 yards and 4 touchdowns on offense while also returning an interception 69 yards for a touchdown on defense. 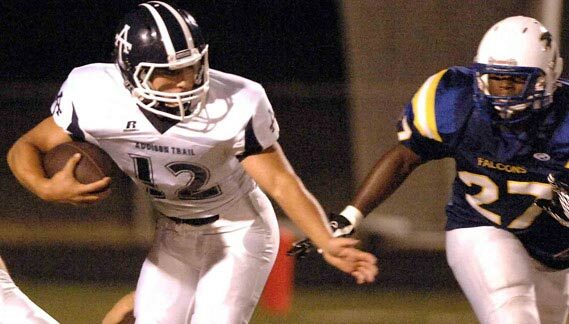 The Spartans will try to control the game Friday night with their running game. The more clock their offense is able to eat up, the less time Westerkamp and the dangerous Montini offense will have on the field. Marmion executed this strategy against Montini in week three. The Cadets held the ball for the majority of the game, but they were unable to cash in on their long drives with touchdowns and lost 13-6. I believe St. Francis will have the same success at controlling the game with their running game, and unlike Marmion, the Spartans will end at least a couple of their drives with touchdowns. Bradley head coach Mike Kohl told his team all week they would have a good chance of beating undefeated Thornwood if they could hold the high flying Thunderbird offense to just three touchdowns. Kohl was right. Bradley (3-2, 2-1) allowed Thornwood (4-1, 2-1) to reach the end zone just three times on Saturday afternoon in the Boilermakers’ 24-21 overtime victory over the Thunderbirds. Freshman kicker Gavin Patterson gave Bradley the win with a 19-yard field goal. Bradley got the ball in overtime needing only a field goal to win. The Boilermakers ran the ball on their first three overtime plays, and were unable to get the ball in the end zone. But on fourth down, the Boilermakers’ freshman kicker came through. “The crazy thing is, our kicker [Patterson] is a freshman. Because of that, we thought we’d wait a couple downs and keep the ball in the middle of the field, run it, be conservative and give us a chance to win,” said Kohl. The game went to overtime with a score of 21-21 after Thornwood kicker Rogelio Vargas missed a 35-yard field goal attempt in the waning seconds of regulation. Thornwood got the ball first but was unable to score. Kicker Adrian Perez’s 24-yard field goal attempt on fourth down was blocked by Bradley’s LJ Harris. “Our defense getting that stop at the end was huge. Any time you stop a team in overtime, it gives the momentum to the offense,” said Kohl. It looked early on like Bradley was going to have a hard time stopping the Thunderbirds offense. Thornwood took a quick 7-0 lead when quarterback Patrick Bolton threw a 90-yard touchdown pass to wide receiver Christopher Scott on the the Thunderbirds’ first snap of the game. Bradley wide receiver Myles Clark ran 11 yards for a touchdown on an end-around late in the first quarter, tying the game at 7-7. Raheem Gardner’s two-yard touchdown run gave the lead back to the Thunderbirds, 14-7, with just under three minutes to go in the second quarter. Gardner finished the game with 24 carries for 103 yards and 1 touchdown. The Boilermakers were able to answer back before the end of the first half. Quarterback Nick Pippin connected with wide receiver Myron Harris on a 7-yard touchdown pass with one minute left in the second quarter. The game was knotted 14-14 at halftime. Thornwood scored their third and last touchdown on the team’s first possession of the second half. Bolton threw a 22-yard touchdown pass to Cedric Doxy that gave the Thunderbirds a 21-14 lead with 10 minutes remaining in the third quarter. The Boilermakers evened the score on Clark’s second touchdown of the game. Clark caught a 13-yard touchdown pass from Pippin that tied the score at 21-21 with 5:38 left in the third quarter. Clark was Pippin’s go-to-receiver Saturday afternoon, catching 10 passes for 147 yards and one touchdown. Bradley cornerback Antaun Patterson intercepted Bolton twice in the second half as the Boilermakers kept Thornwood off the scoreboard over the final 22 minutes of regulation and in overtime. 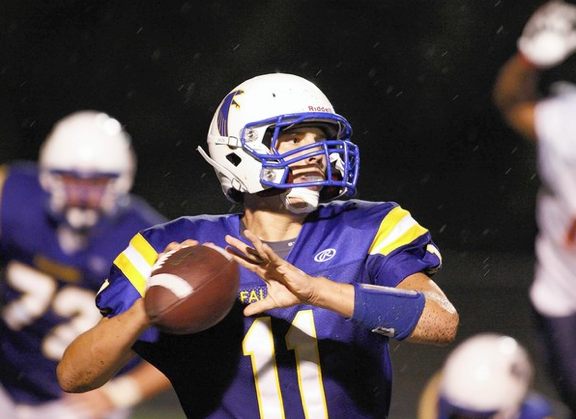 Quarterback John Peltz ran for four touchdowns and threw for one more as the high-flying Falcons of Wheaton North defeated Glenbard East 56-12 Friday night in Wheaton. The five touchdown outburst was another strong overall performance from the Falcons’ junior quarterback. 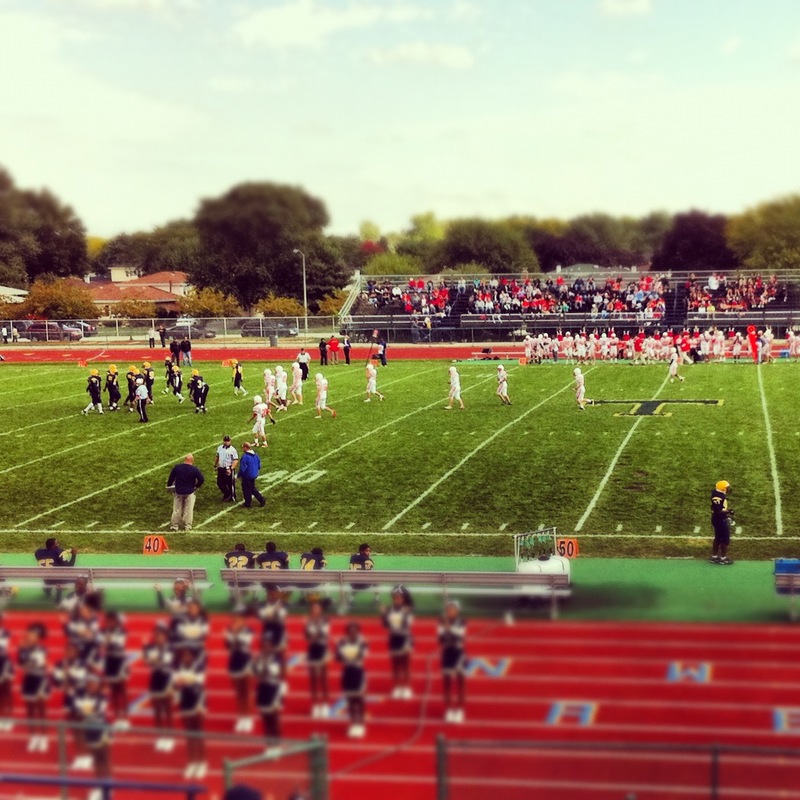 Wheaton North faced an early 6-0 deficit after Glenbard East (1-4, 0-3) quarterback Joe Kotch threw an 85 yard touchdown pass to wide receiver Mike Fahey on the Rams’s third snap of the game. “It was frustrating because we know they like to run that route, we practiced it all week and we still had a kid bite on a slant route right there, which was unfortunate,” said Wardynski. However, the Falcons struck back in resounding fashion with 56 unanswered points. Quarterback John Peltz’s one yard touchdown run capped off a long drive on the Falcons’ first possession of the game. Kicker Marcin Gawlak’s point after gave the Falcons a 7-6 lead. Peltz added three more touchdown runs, including an 80 yard scamper to the end zone in the third quarter. Peltz also connected with wide receiver Johnny Daniels on a 32 yard touchdown pass in the second quarter. Running back Mikey Sammer, who is filling in for injured starter Patrick Sharp, had 16 carries for 113 yards and one touchdown. His 43-yard touchdown run in the second quarter put the Falcons up 14-6. The Wheaton North defense dominated after giving up the early touchdown. The Falcons picked off Kotch three times, including interceptions by Falcons cornerback Jaylen Howze on back-to-back drives. Kotch has thrown three interceptions in each of his last two games. Howze returned his second interception of the night 20 yards for a touchdown, putting the Falcons up 28-6 in the second quarter. The blowout loss was Glenbard East’s third consecutive loss by more than 40 points. Behind the efforts of star receiver Jordan Westerkamp, Montini took down Marmion 13-6 in a Suburban Catholic Blue battle Friday night in Lombard. Westerkamp’s fourth-quarter touchdown run was his 44th career visit to the end zone. The star receiver was held to three catches for 21 yards by the Marmion (1-2, 0-1 Suburban Christian Blue) defense, but Westerkamp’s biggest contribution came on the ground when his team needed him the most. With five minutes remaining in the fourth quarter and the score knotted at 6-6, Westerkamp took a hand-off from backup quarterback Joe Borsellino and ran four yards for a touchdown. “It was tough, it was aggravating, but we bounced back, that’s what great teams do, they bounce back and they make plays,” said the Nebraska-bound Westerkamp. Marmion was able to control the pace of the game with a strong running attack. Running back Garret Becker led the Cadets with 16 carries for 75 yards. While the Cadets were able to control the clock, they were unable to find the end zone at the conclusion of any of their long drives. Marmion settled for two field goals of 40 and 31 yards from kicker A.J. Friedman. Montini (2-1, 1-0) quarterback Mark Gorogianis struggled through the air, throwing three interceptions. Gorogianis had one touchdown on the ground, getting the Broncos on the board with a 1-yard touchdown run in the second quarter. The score was set up by a 8-yard run from Borselliono on 4th-and-one that brought the Broncos to the 1-yard line. I wrote this story for the Chicago Sun-Times. It can be viewed here.